1. 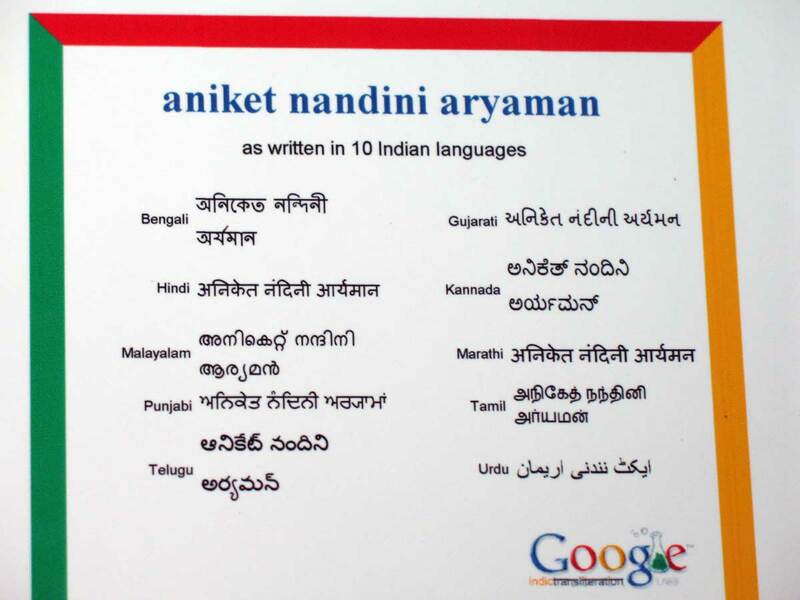 Google Transliterate – India is a land of many languages and this online tool from Google will help you write your name in almost all prominent languages of the country including Hindi, Urdu, Tamil and Bengali. 2. Google Translate – If you want to write your name in a language like Chinese, Japanese or even Greek, you really need to get hold of a person who can speak that language. If you can’t find one, Google Translate is the next best option. 3. Elvish Language – This is something for Lord of the Rings fans. The page describes how you can easily represent your English name using the Tengwar script. The writing looks mysterious and it’s not very hard. 4. Braille Generator – The tool will convert your name into Braille, a popular writing system that enables blind people to read and write through touch. They just run their fingers across these tiny dots to read them. 5. Hobbit Runes – The runes were in use during the 1st century AD and were later replaced by the Latin alphabet. The tool will help you write you name using the ancient runic alphabets. 6. Babylon Tablets – Use this tool to write your name in the cuneiform script, the earliest known writing system in the world of the Babylonian era. The script was written on clay tablets and was then baked hard in a kiln. 7. Morse Code – Write your name in Morse Code, a system that was invented in the 19th century to transmit information using telegraph lines. The most popular Morse code phrase is SOS which is represented by “…—…” or 3 dots followed by 3 dashes followed by 3 dots. 8. Ancient Egyptian – The writing system of ancient Egyptians, known as Hieroglyphs, used symbols instead of characters. The tool take the first 16 characters of your name and converts them into the same hieroglyphs symbols that were used by Ancient Egyptians. 9. FДКЗ CУЯILLIC – Remember how they wrote "BORДT" on the movie posters of “Borat” – that was fake Russian and this tool can help you convert just about any text written in Latin into the same Faux Cyrillic style.